This picture will sure give you whitetail fever. It’s that time of year when us deer hunters start getting that whitetail fever really bad to get out in the woods again. It has almost been a year since we were last able to get out in that deer stand and enjoy the great outdoors in hopes of getting that buck of a lifetime or some venison to last us until next season or just to get away from it all and enjoy the beauty of nature. I haven’t posted in a long while and it’s time to get going again. I lost my father to cancer in January of this year and although it was a very hard time he is the very reason I love deer hunting and now I will continue this blog in honor of him. He took me on my first deer hunt when I was 13 and I have loved it since that day. He taught me so much about the whitetail and I’ll sure miss hunting with him. I did get to go on one last hunt with him and I will cherish those memories forever. This is my dad with his biggest buck ever. It slowly creeps up on you in early summer and by early November whitetail fever is full blown. I imagine hunters all over America are starting to get that itch and break out their bows and start practicing to get ready for opening day. 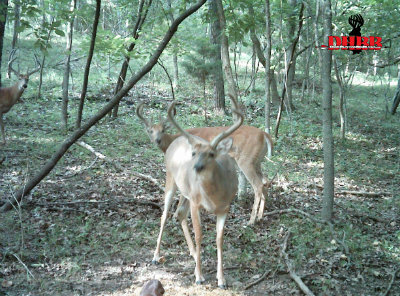 Food plot preparation, putting out minerals, putting out trail cameras, putting deer stands up and cutting shooting lanes are all on the deer hunters mind this time of year and we love it. What are some of the things you are doing to get prepared for deer season this year to get that big boy? What are some of the regulations that have changed where you hunt or that you would like to see change? My home state of Georgia recently made baiting legal in the Northern zone in addition to the southern zone. That could be a game changer for a lot of hunters in that area. It will be interesting to find out how it affects some of my buddies who hunt in the northern zone. Do you have food plots in this year? Have you got any big bucks on trail camera this year? Let’s see them! Send us some pictures of the big boy your after this year. Safety should be everyone’s number one priority! If you don’t use a safety belt do yourself a favor and get one and use it. I hope you all have a great season and remember to get prepared early and practice makes perfect. Also take someone hunting that might not be able to otherwise and get those kids off the video games and out in the woods. Tagged dads big buck, whitetail fever. Bookmark the permalink.